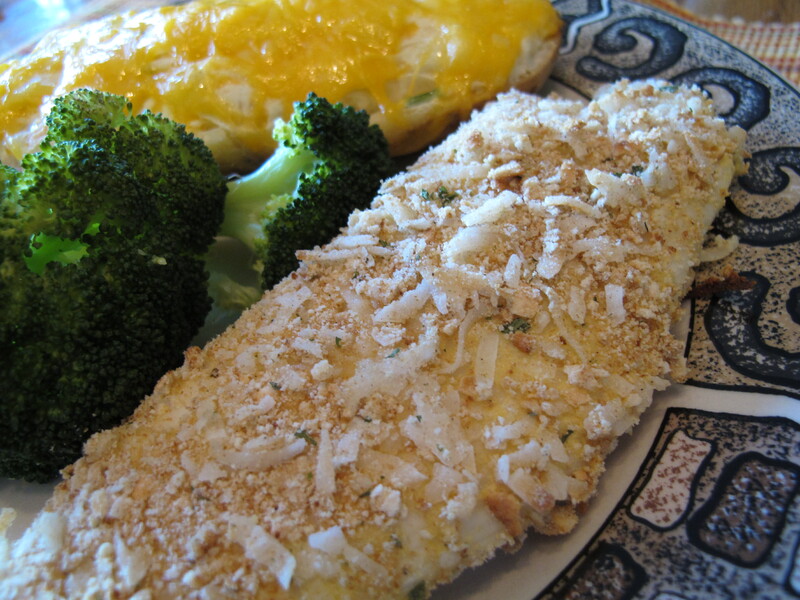 The coconut in this recipe gives the fish a light sweet taste. 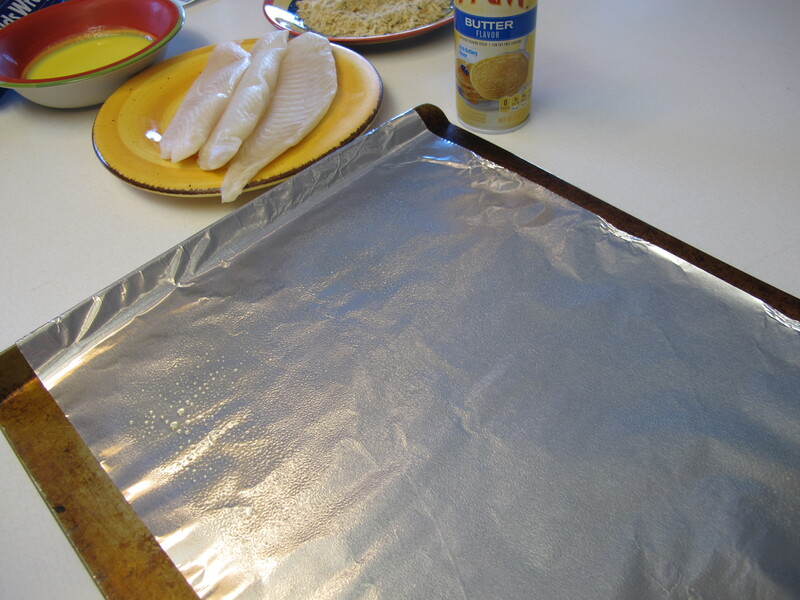 Place foil on a cookie sheet and spray with non-stick spray. 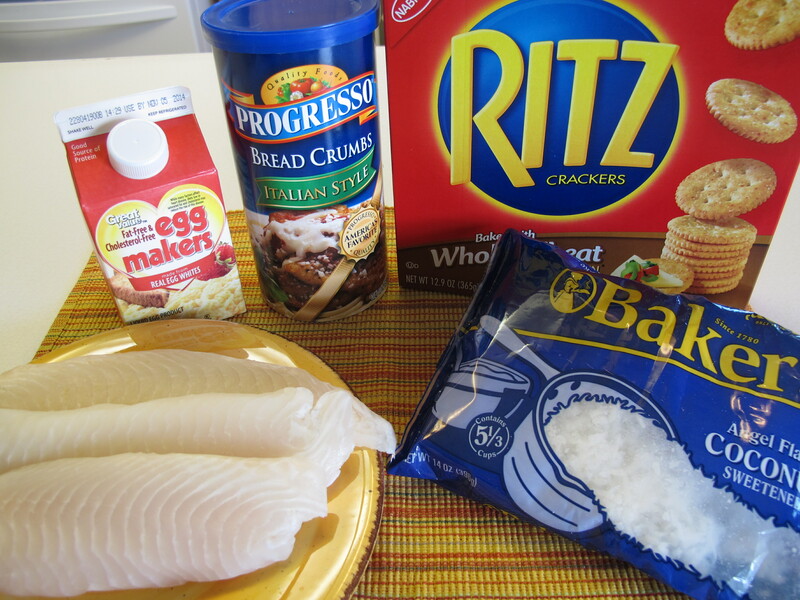 Combine coconut flakes, Italian bread crumbs , crackers and seasonings on a shallow plate. 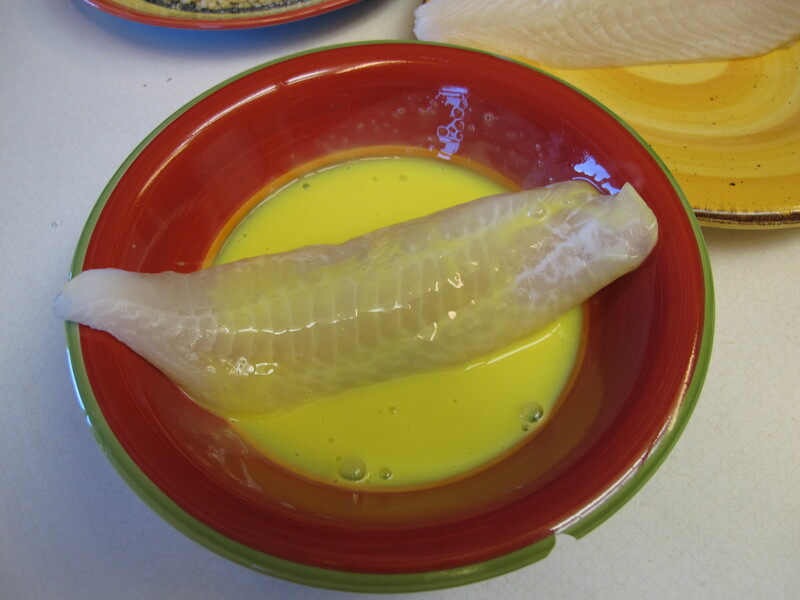 Put liquid eggs in another bowl. 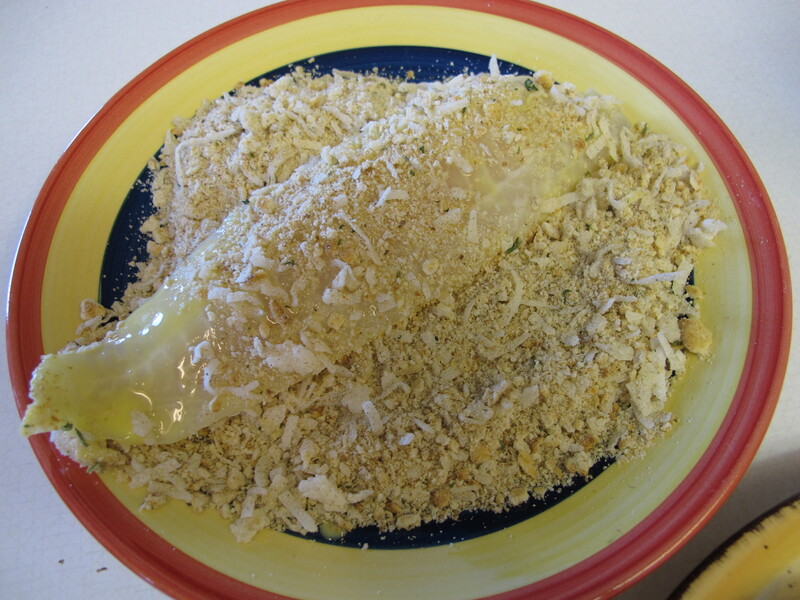 Dip the fish fillet in the egg, and then in the crumbs mixture. 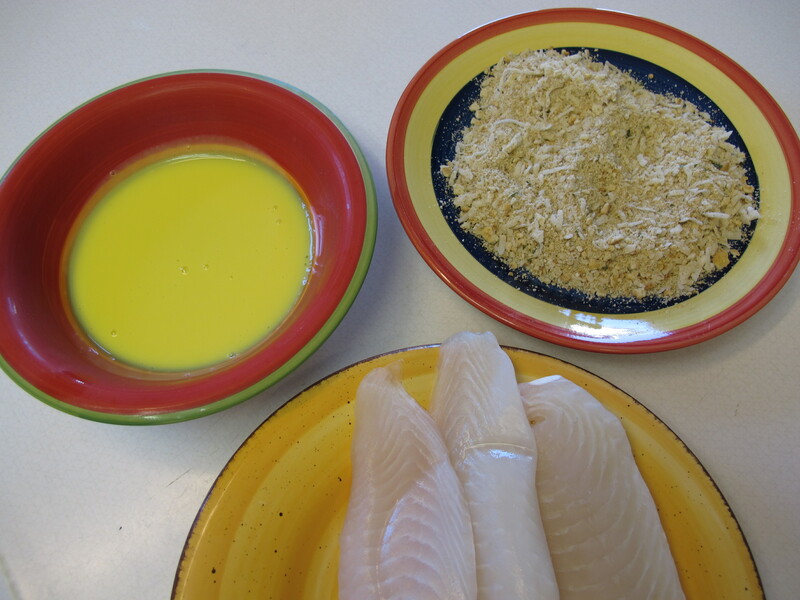 Bake for 15 – 20 minutes, or until fish is done.